Arriving on Earth in the midst of the American Civil War, the Doctor and Amy must get a posse together to help them retrieve an alien artefact that has fallen into the clutches of the Confederate Army. The terraforming device belongs to the Cei, a race of invaders who plan to use it to turn the planet into a new home world. But neither the Army nor the aliens are keen to let the Doctor and his gang interfere with their plans, and give chase across the Wild West. 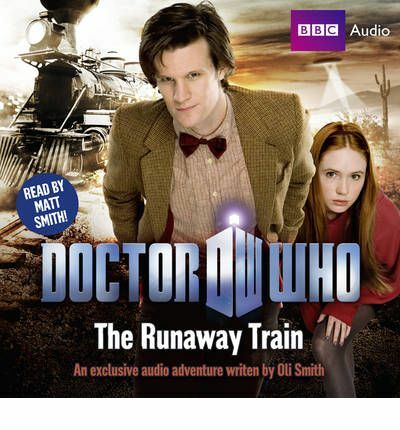 The only hope of escape for the Doctor and friends is to catch the 3.25 to Arizona and race along the newly-built transcontinental railroad...Written specially for audio by Oli Smith, and read by Matt Smith, "The Runaway Train" features the Doctor as played by Matt Smith in the acclaimed hit series from BBC Television. Matt Smith reads this exclusive audio story featuring the Eleventh Doctor and Amy.